Everyone has their own preferences however I try to photograph people outdoors early in the morning or right before (or after) sunset. This way I can avoid the harsh shadows and ensure even light on the face. Morning light is clear and refreshing. Sunset light, as you may know, is warm and hazy. I took this photo in the morning around 10am. Making sure that the subject has his back turned to the sun so that the sunlight acts as a hair light (creating the edge between hair and background). 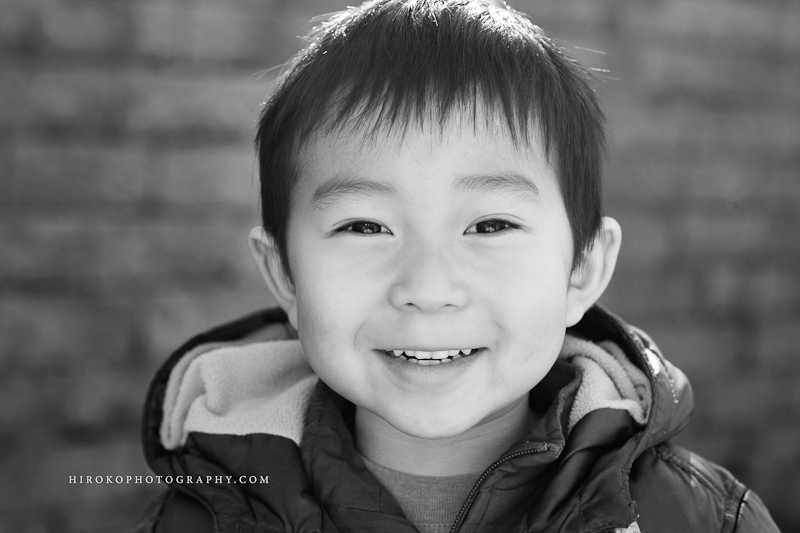 If you are photographing kids, make some funny noises (my son loves fart sounds) and you are good to go.